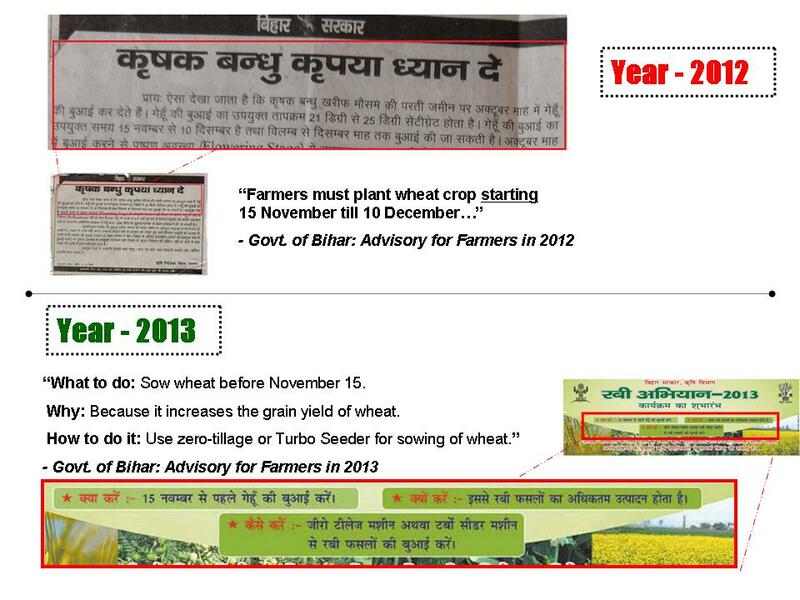 At the end of the Rabi 2013-14 wheat season, CSISA’s hubs in Bihar and Eastern Uttar Pradesh demonstrated the impact of better agronomy management by organising public wheat harvesting events to showcase the yield advantages of early wheat sowing in combination with zero tillage and new wheat varieties. 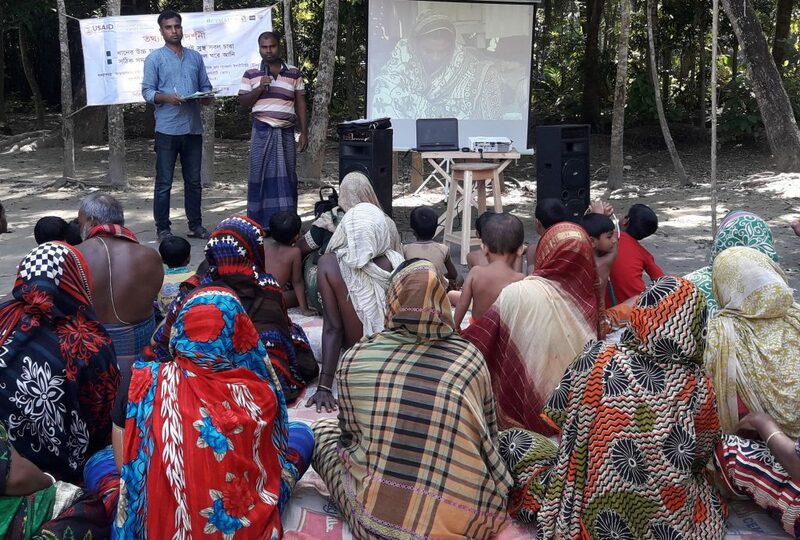 Most of these events were organised from 4- 11April and were attended by farmers and officials from the Departments of Agriculture (DoA) in Bihar and Eastern UP. Wheat was harvested from large plot sizes ranging between 1 and 3 acres. These events help in engaging grassroots workers such as block agriculture officers, subject matter specialists and farm advisors (Krishi Salahakars), to show them the virtues of better bet agronomy. They also help to persuade the district agriculture officers and joint directors of agriculture to make the case to policymakers that early sowing and zero tillage of wheat should be accelerated. Wheat yields harvested from five sites in Eastern UP (Harpur, Pokharbinda, East Champaran, Hasanpur Pipra and Devpokhar) were 6.0, 6.5, 6.5, 6.0 and 6.7tonnes/ha, respectively. 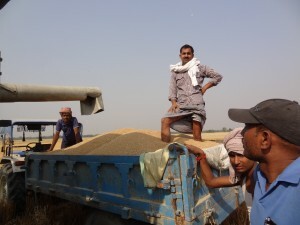 The impressive yields from wheat harvested from six sites in Bihar (Begahi, Matlupur, Manda, Naola, Hanspur and Rajapur villages) were 6.4, 5.8, 6.2, 6.8, 5.7 and 6.0 tonnes/ha, respectively. Out of 11 public harvesting events, the grain yield with best management averaged around 6.0 tonnes/ha. All fields where these events were organised were sown between 31st October and 15th November, were planted using zero tillage technology and long duration varieties were planted, with focus on HD 2967, which is a newly released variety. Better bet agronomic management was followed. Wheat crops sown early appear to hold advantages in the number of tillers and number of grains per ear head, and were physiologically mature at the start of terminal heat. 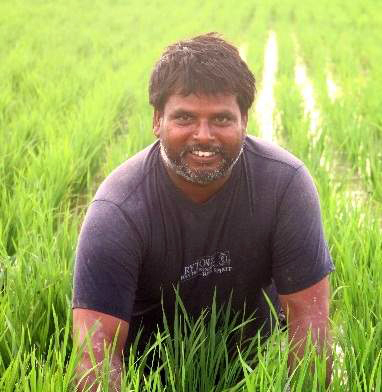 The crop seemed to withstand the adverse effect of a sudden rise in temperature starting from 27th March this year. CSISA’s experience is that even if the grain yield stays statistically similar, the sowing done after 15 November is vulnerable to the vagaries of terminal heat. 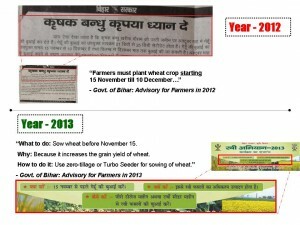 CSISA is aiming to develop consensus among extension agencies around the need for early wheat sowing under zero tillage, which could be the engine of yield growth in Bihar and Eastern UP. With consistently higher yields under these management practices than under conventional (late sowing) practices, CSISA believes that the area under early sowing and zero tillage will keep rising and farmers and their wheat yields will benefit.